This entry was posted in Libertarian Party and tagged Andy Craig, DEA, hemp, Libertarian Party of Wisconsin, marijuana, Menominee County WI, Menominee Indian Tribe of Wisconsin on October 24, 2015 by Andy Craig. Phil Anderson, Libertarian candidate for U.S. Senate in Wisconsin, spoke on Sunday to the assembled crowds at the 45th Annual Midwest Marijuana Harvest Festival near the state capitol in Madison. The Libertarian Party of Wisconsin also had a successful outreach booth at the two-day event. This entry was posted in Libertarian Party and tagged legalization, Libertarian Party of Dane County, Libertarian Party of Wisconsin, marijuana, Non-Aggression Principle, Phil Anderson, Wisconsin on October 7, 2015 by Andy Craig. Nicholas Sarwark: Vote against increasing taxes on marijuana in Colorado! Proposition AA is a massive tax increase that the voters should reject. When the Libertarian Party of Colorado endorsed Amendment 64 last year, many people objected that the party was also supporting a tax increase, since Amendment 64 allowed for a 15% excise tax on marijuana. This entry was posted in Libertarian Party and tagged Libertarian Party of Colorado, marijuana, Nicholas Sarwark on October 21, 2013 by Krzysztof Lesiak. U.S. 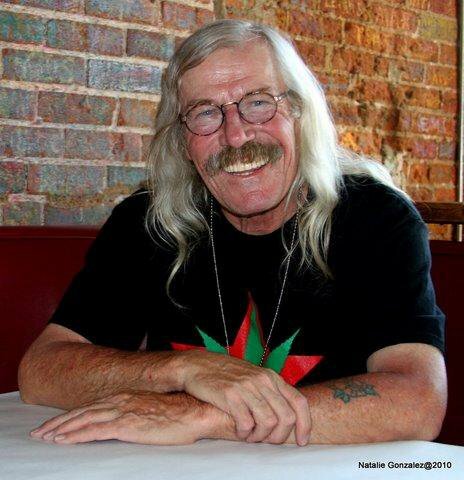 Marijuana Party Chairman Detained in Washington, D.C. It has just come to my attention that William A. Chengelis, a.k.a., “Wayward Bill”, acting President of the U.S. Marijuana Party has been detained in Washington, D.C. This entry was posted in Liberty/Free Market Parties and tagged Bill Chengelis, cannabis, marijuana, U.S. Marijuana Party, William Chengelis on June 30, 2013 by Krzysztof Lesiak. This entry was posted in Green Party and tagged Green Party, Green Party of Virginia, Maine Green Independent Party, marijuana, marijuana legalization, Virginia Green Party on June 16, 2013 by Krzysztof Lesiak. This entry was posted in Libertarian Party and tagged Judge Jim Gray, Libertarian Party, marijuana on August 21, 2012 by Jill Pyeatt. President Obama continues to attempt bringing together his liberal base by tackling controversial social issues. It appears he now wants the liberal leaning marijuana users to support him despite policies that threaten to lock them up. Cannatruths offers some suggestions. First he would need to sign an executive order moving cannabis from a schedule one drug to a schedule five so that it could legally have a value for medical use. This entry was posted in Libertarian Party and tagged Gary Johnson, marijuana, Prohibition on June 22, 2012 by Austin Battenberg. Libertarian Gary Johnson continues to reiterate his support for legalization of marijuana by going to a Denver, Colorado dispensary. Johnson says that if he’s elected president, medical marijuana businesses that are operating within state and local laws wouldn’t have to worry about efforts by federal prosecutors to shut them down. Dispensaries have become increasingly popular throughout the country as people use medical marijuana to help them with any pains they may have. This entry was posted in Libertarian Party and tagged Colorado, Gary Johnson, legalization, libertarian, marijuana, media coverage, Medical Marijuana on June 19, 2012 by Austin Battenberg. For those who are advocates of legalization of marijuana and ending the drug war, Vice Presidential nominee of the Libertarian Party Judge Jim Gray hosts an online town hall with special guest Rob Kampia of the Marijuana Policy Project. The video of the town hall can be seen below. This entry was posted in Libertarian Party and tagged Gary Johnson, Judge Jim Gray, marijuana, media coverage, MPP, rob kampia on June 16, 2012 by Austin Battenberg. The Governor of New York, Andrew Cuomo, has just recently proposed the decriminalization of possession of small amounts of marijuana. This stance has received plaudits from the Libertarian Party’s presidential standard bearer, former New Mexico Governor Gary Johnson. In a statement released in New York, Johnson said, “It is encouraging that the governor of one of our largest states is facing the reality that we are clogging our courts and packing our jails with Americans whose ‘crime’ is the individual choice to possess and use small quantities of marijuana. This entry was posted in Libertarian Party and tagged Andrew Cuomo, Gary Johnson, marijuana, New York on June 6, 2012 by Trent Hill. This entry was posted in Libertarian Party and tagged California, drug war, Gary Johnson, Governor Johnson, Jim Gray, Judge Gray, Judge James P. Gray, Judge Jim Gray, Legalized Marijuana, Libertarian Party, marijuana, marijuana legalization, New Mexico, War on Drugs on May 3, 2012 by Trent Hill.